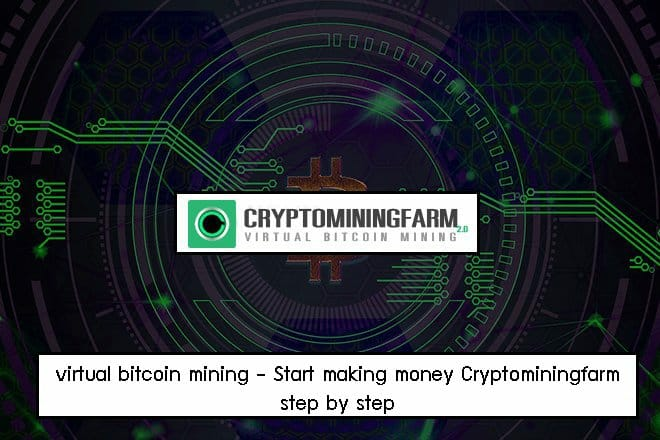 This is the final article in the virtual bitcoin mining series called Cryptominingfarm. I will teach all the steps of investing in Cryptominingfarm. For example, How to buy hash-rate?, How to use the system, etc. You can follow step by step. Now I will assume that you who read this article have a crypto wallet already. If not you can sign up to Bx.in.th account or the other crypto exchange market before continuing. 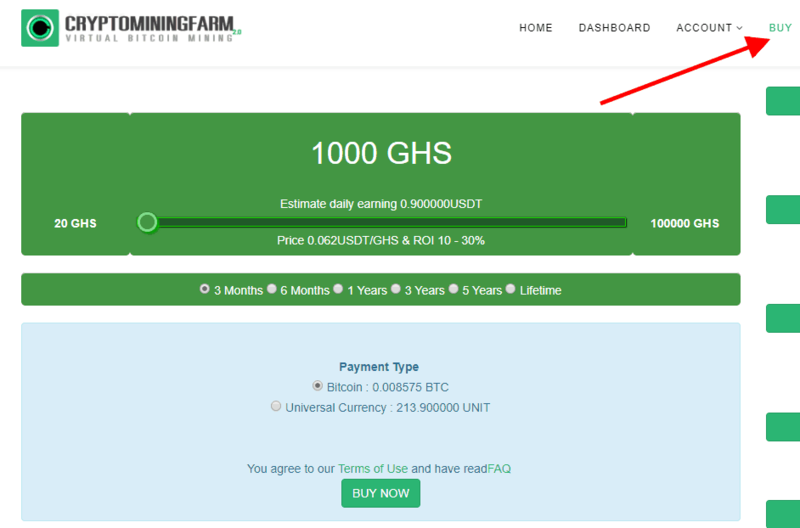 Cryptomininfarm Review – How to buy the virtual cloud mining hash-rate? Convert local currency to Bitcoin (BTC) using Bx. Successful purchase. Validation, Let profit run. 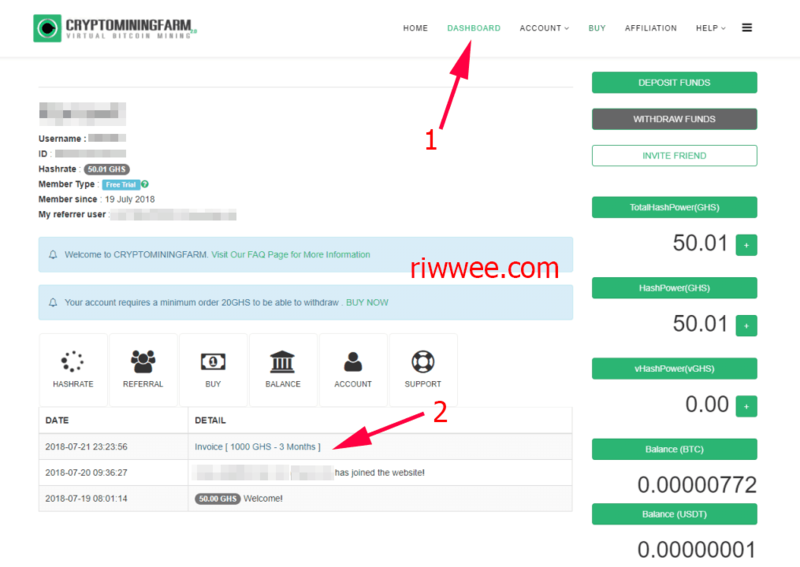 Step 1 Check Cryptominingfarm hash-rate price. If you are not yet registered, Click here. If you are already registered, sign in and click on the Buy button. I would buy a minimum 1000 GHs for a period of 3 months. It shows up in the system 0.008575 BTC. We should check the price in the dollar unit at Google before clicking on Buy Now button. I’m in Thailand. 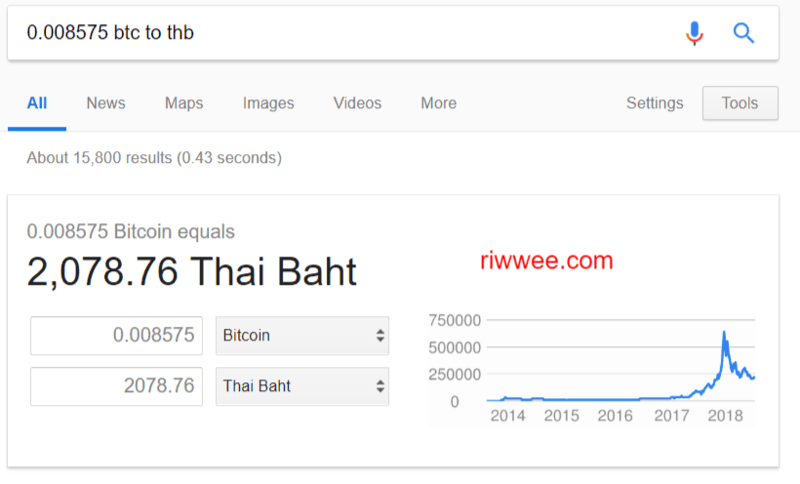 I need to check the amount in Thai Baht. Now let’s check your BTC in your own currency unit. I have to pay about 2078.76 baht per 1000 GHS. So in the BX account (Crypto Market Account – You can use your favorite crypto market account. The procedure are the same. 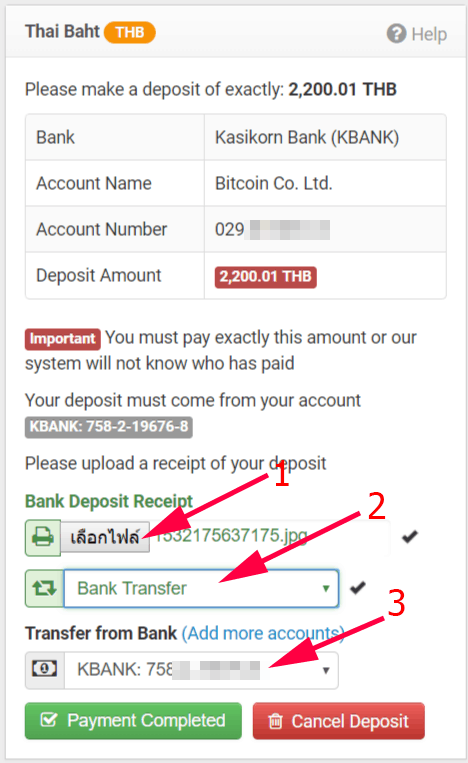 ), I will transfer more than 2078 a little about 2200 baht from my local bank to Bx account, remember that do not transfer exact price. For anyone who already has a crypto wallet and money inside then skip to step 4. For anyone who ha Bitcoin money in BX already exceeds the amount of the intended purchase. Go to step 4 at it. And select the BX account number that we will deposit into. For me, I have 2 choices: KASIKORNBANK and Krung Thai. In this case, I choose Kasikornbank. Select Source of Funds, which is to choose our bank account number. The next page shows the following details. The left part is detailed in the table. I transferred from my kBank to BX’s kBank. When payment is successful. Look at the picture above, number 1, you must enter the receipt, number 2, you must select the bank transfer type, number 3, select my account. Waiting for approval will take several minutes up to 1 day, depending on your crypto market. 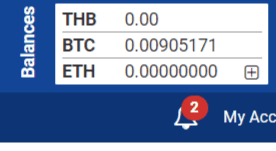 My Bx account has been successfully received the balance in less than 5 minutes. Step 3 Convert local currency to Bitcoin (BTC) using Bx. 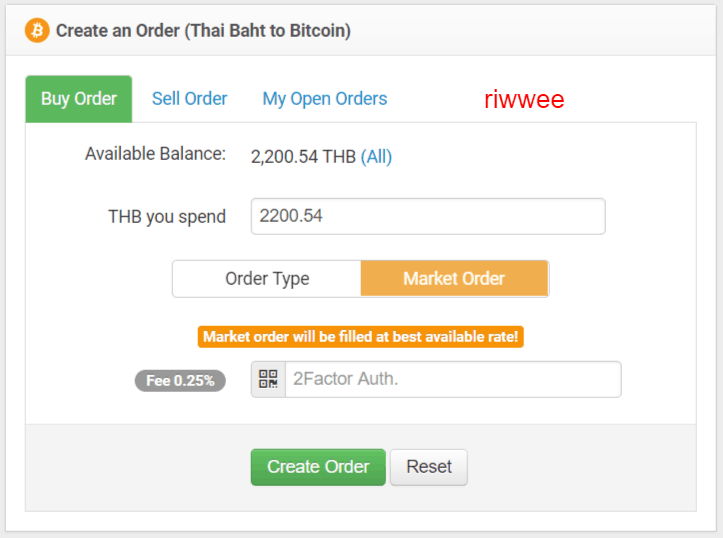 Buying a hash-rate from Cryptominingfarm requires BTC so I will exchange money from THB to BTC in the following steps. 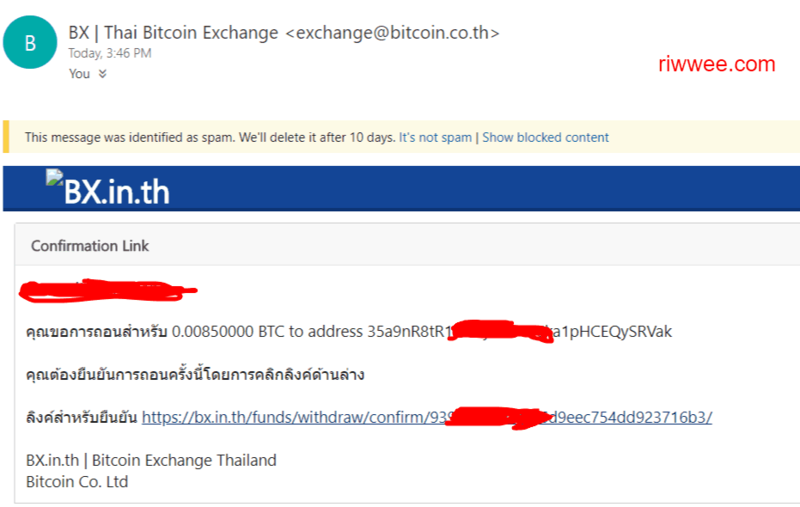 My Thai baht has been converted to Bitcoin. 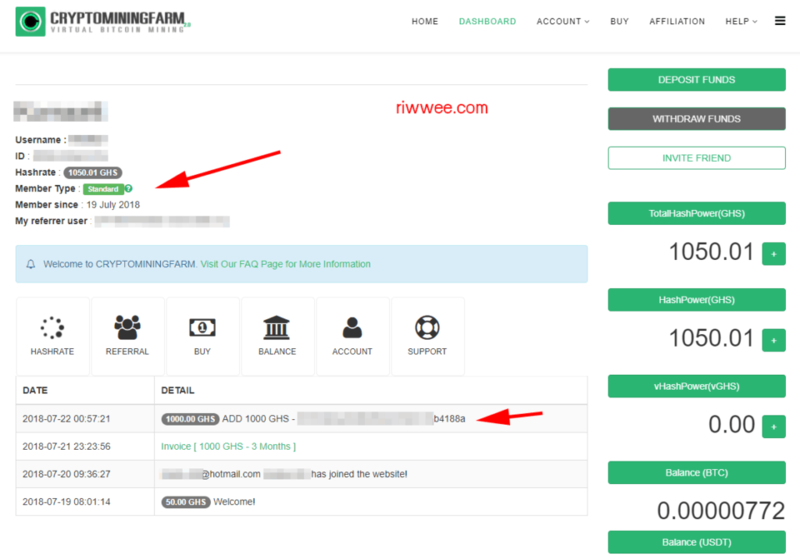 Back to Cryptominingfarm, click on the Buy menu, you will see the following purchase page. * The price of above image with the first picture is not the same. I’m taking a screencapture at different times. Bitcoin is relatively volatile, prices change over time. After that, the system will confirm the payment amount with the wallet number that we have to send money to as shown below. I have to pay 0.008 BTC from my bitcoin wallet. Copy bitcoin address wallet number: 35a9nR8XXXXXXXXXXXXXXXXXXXXXXXRVak to a clipboard and then go to Bx again to start sending money to this address. * For anyone who set up 2Factor Auth, you need to enter the value in this field. BX’s next page shows the withdrawals as follows, but the money has not been sent until the transaction is confirmed. Meanwhile, BX is now sending us an email. Visit our email account and check the mail from the BX. This is a security reason. So I will go to my email and notice to the spam box because the mail should be there. Done from our end then wait for Bx to send money. Step 6 Successful purchase. Validation, Let profit run. Waiting for the financial department check the amount of money. At ‘Amount Paid’, green numbers 0.008 BTC indicates that the system has been paid. * Be careful, if you send money less than the paid amount. You must pay the second unpaid amount, include a second network fee again. Wait until the ‘Pending‘ status changes to ‘Paid’. 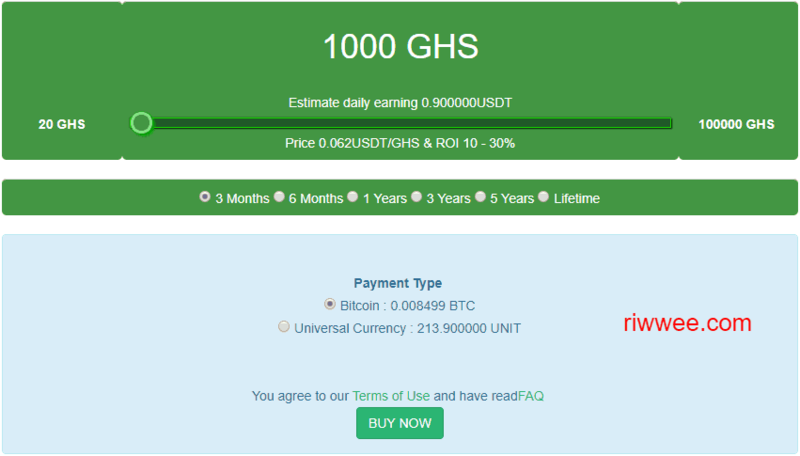 Look at my account showing a hash-rate of 1050 GHS. All Done! Congrats everyone who read until here. I hope this article will help open up knowledge about virtual bitcoin mining for everyone.